Wow. 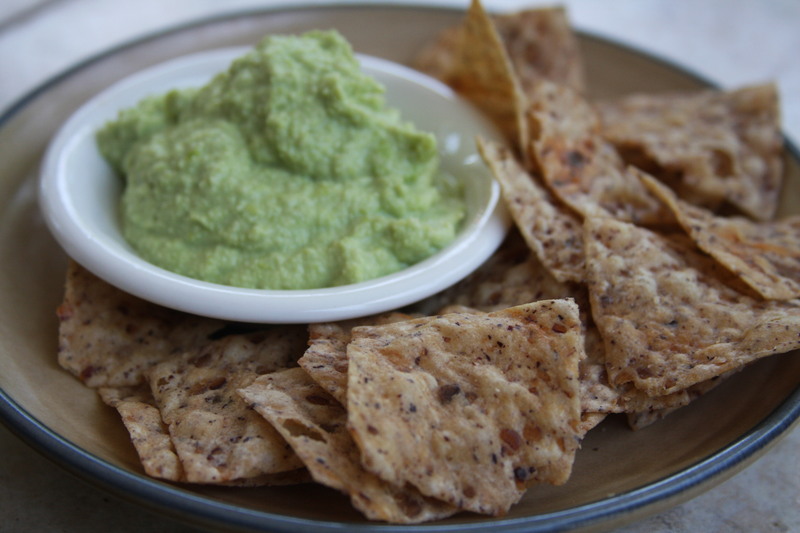 I usually don’t get so excited about dip, but I just whipped this up this morning with last night’s leftover steamed edamame, and I can’t believe how good it is! My kids are practically the licking the bowl clean right now! Edamame is one of those super foods, jam-packed with protein and other nutrients. It’s especially good for vegetarians/vegans. I have a feeling I’m going to be making this hummus a lot! Read more below about edamame below, or if you already know how amazing edamame is, scroll to the bottom for the recipe. Edamame has high nutritional value and health benefits. These green soybeans are a natural source of antioxidants and isoflavones, which has increased edamame’s popularity in the United States. Antioxidants are beneficial because they can help prevent negative effects of free radicals in the body. Eating antioxidant-rich foods has been associated strengthening your immune system and with reducing your risk of cancer, hardening of the arteries and neurodegenerative diseases. Isoflavones are phytohormones that may help reduce prostate and breast cancer, diminish the risk of heart disease, lower blood pressure levels and ease menopausal symptoms. Women who are menopausal and have low estrogen levels may benefit from snacking on a handful of edamame daily because of the natural soybean’s phytochemical quality. The fresh vegetable soybeans called edamame contain about 36 percent protein, which is 86 percent higher than mature soybeans. Edamame’s low oil content, combined with its high protein content, makes this vegetable very popular with health-conscious people who want a low-fat, protein-rich snack. Vegetarians and vegans who want a high protein food will find that edamame’s protein is complete, which means it contains all nine essential amino acids the human body needs. Protein helps your body’s tissues to develop properly and helps your body resist diseases; it produces hormones, enzymes and other substances your body uses; gives people energy and helps prevent fatigue. Edamame has no cholesterol, very little saturated fat, and a half-cup serving provides 11 g of protein toward an average adult’s daily requirement of 46 to 63 g.
Edamame is rich in vitamin C and B vitamins, and it is one of the few natural sources of vitamin E. These soybeans also provide you with minerals, such as calcium, manganese, iron, magnesium, phosphorus and copper. Nutrients in green soybeans that benefit heart health include vitamin K and folate, which increases the production of red blood cells. Folic acid is also essential for pregnant women because it helps with fetal development. Adding edamame to your diet will help you increase your fiber intake. Fiber is important for healthy digestion, and a half cup of edamame contains 4 gr of fiber. Fiber also helps lower cholesterol, which may reduce your risk of heart disease. Another reason edamame is a good snack food is that the fiber keeps you feeling full for a longer period and this helps you avoid unhealthy between-meal snacks. Edamame has anti-inflammatory qualities and can be a good food to eat if you have arthritis or other inflammatory conditions, such as rheumatoid arthritis. Fresh green soybeans, eaten as a snack or a side dish, may help people with asthma, because this vegetable decreases inflammation in your breathing passages, and this can reduce wheezing and coughing. First blend the edamame in your food processor. Then add the rest of the ingredients! Make sure to scrape the sides down occasionally. Refrigerate until cold! (If your edamame was already cold in your refrigerator, you can eat your hummus immediately!… And as with most hummus, this will probably thicken up a little bit in the fridge). Mmmmm! Excuse me… but it’s my turn to DEVOUR some hummus! Yum! 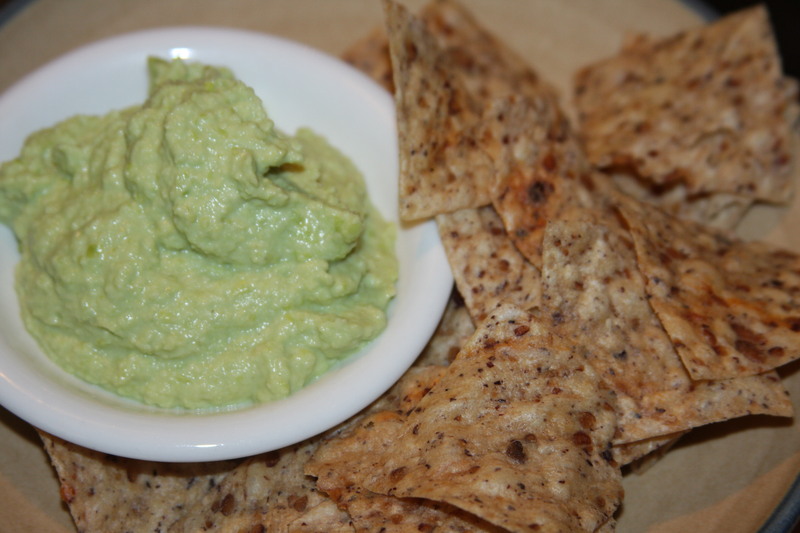 I love this edamame hummus! This entry was posted in appetizers, beans, lunch, snacks, Vegan and tagged edamame, edamame hummus. Bookmark the permalink.